Any guesses on the color? Probably Agate Gray. But could be any one of dozens of hues of Gray or Silver. So it looks like the top part of the rear spoiler is flat. I think I like the way ours kind of integrates into the bottom section. 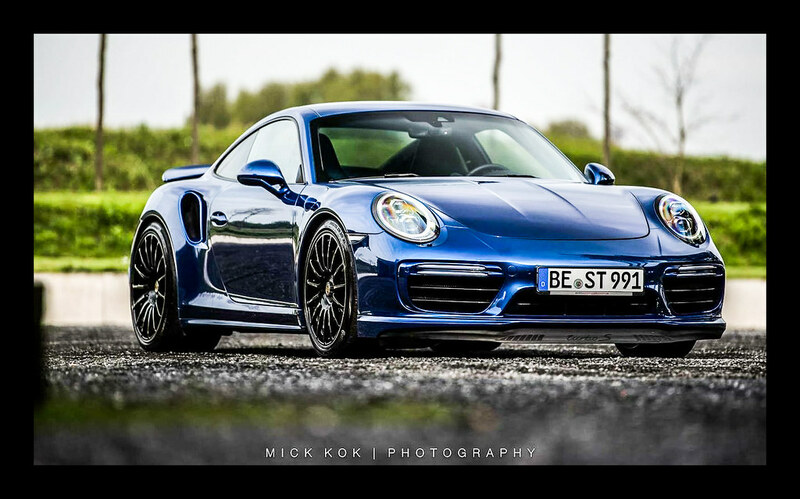 I am on the top of the list for a 992 Turbo S allocation. 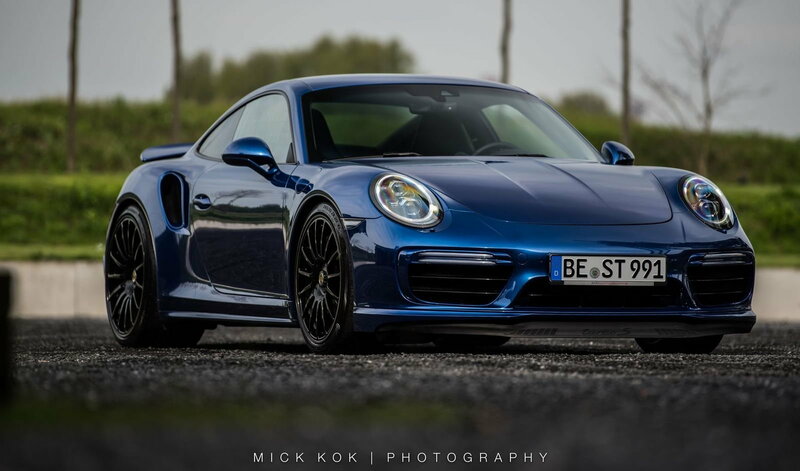 I am expecting delivery in early 2021 and will be trading my 2019 911 991.2 Carrera GTS PDK. 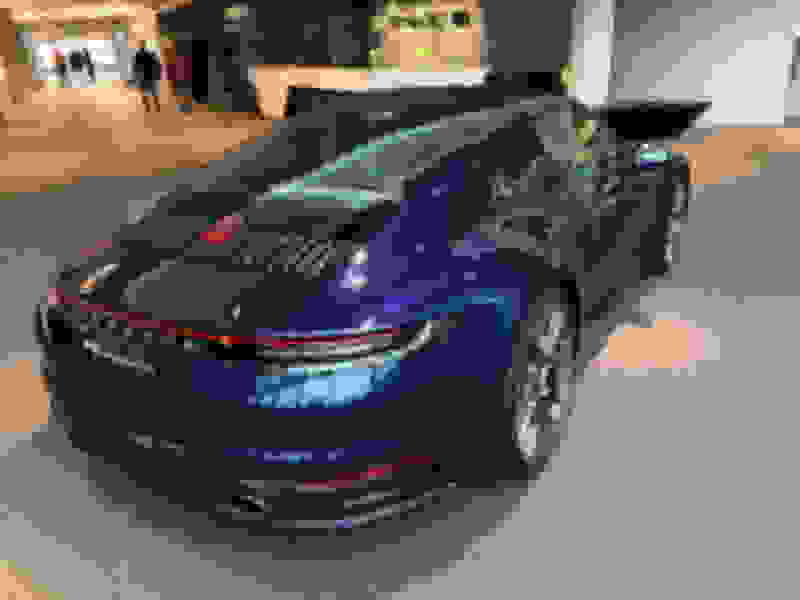 This is the color and wheel selection but obviously not the 992 model. That blue color is amazing, very good choice. 992S/4S is running 305/30 21” in rear. If the above is the case, if rolling diameter is the same, and if, as in past, the Turbo has a little more meat than the S/4S then these would be 315/20 22”. And then of course, there will be those that can’t stand “all that side wall” and will go aftermarket for 23”s. When will this wheel size madness end. +1 on this, by 2026 the 911 Hybrid will be running 23" in front, 24" in rear, with no real advantage except maybe a 0.4 sec benefit on the Ring. The new blue is called "Gentian Blue" it is quite striking. A touch dark for my taste as I love Sapphire, but Gentian pops in the right light! If recent history tells us anything, it's that the changes in the wheel compounds/sizes is the single largest reason for the dramatic improvements in lap times and performance envelops for modern cars. I bet that Porsche will intentionally handicap the TTS with summer tires for the next ring run, and it will still be around 7 minutes flat in the 991.3...sorry, I mean the 992. As long as the improvements are real, I hope they continue to offer the best performance they have. Also, as the 992 is on the same platform as the 991, it's pretty much capped at 20" front, 21" rear due to the physical space in the wheel wells already, combined with the availability of higher performance tires for those sizes (Pzero is currently the only real option). For the next all-new platform for the 911, they still have a blank slate and will design it with larger wheels if it sells them more cars. Last edited by Nanook; 03-04-2019 at 10:23 AM. My dealer told me 992 Turbo S would be on the ground spring of 2021. Approximately 2 years from now.